However, when the Kumbha containing the amrita appeared, a fight ensued. To prevent the amrita (elixir of immortality) from demons, its safety was entrusted to Gods Brahaspati, Surya, Shani and Chandra. After learning the conspiracy of the Devtas, demons turned vicious and attacked them. Devtas knew that demons possessed more power and can easily defeat them. 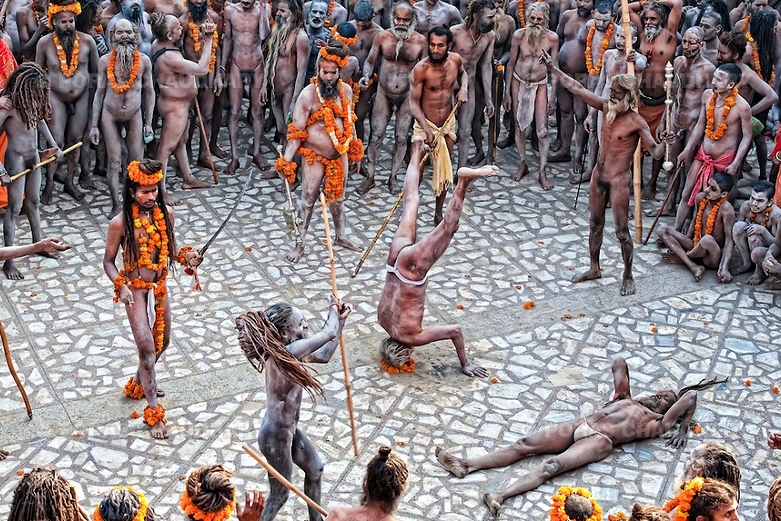 The Devtas ran away with the Kumbh to hide it away and they were chased by Asuras. For twelve days and twelve nights (equivalent to twelve human years) the Devas and Asuras fought in the sky for the pot of amrita. It is believed that during the battle, the drops of amrita fell down from Kumbh at four places: Allahabad (Prayag), Haridwar, Ujjain and Nashik. 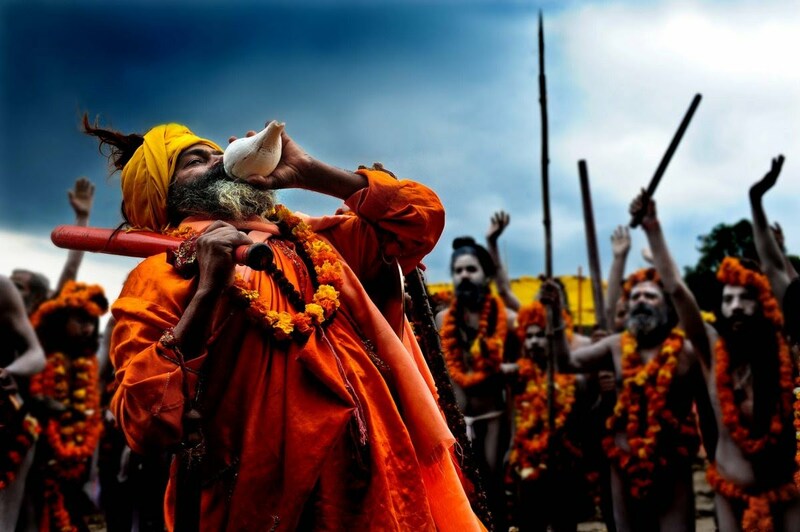 Because 12 days of Gods are equivalent to 12 years for humans; the Kumbh Mela is celebrated once every 12 years in each of the four places - banks of river Godavari in Nasik, river Kshipra in Ujjain, river Ganges in Haridwar, and at the Sangam of Ganges, Yamuna, and Saraswati in Allahabad, where the drops are believed to have fallen. 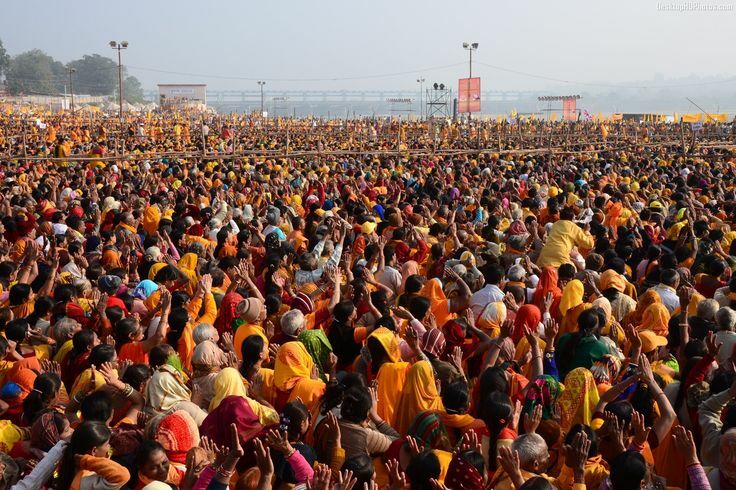 It is believed that the river turns itself into sanctity spots filled with primordial amrita at the historic moment of the Maha Kumbh Mela.